You may remember that at the spring HMSA event my M3 was pushing a bit of water during each run. Jim and Terry looked at all the usual suspects but came up with no reason for the problem. So we decided to be safe rather than sorry and pulled the engine and sent it down to Terry Tinney. What Tinney found was the head gasket was a bit too thin and the pistons were just touching the head causing enough vibration to allow combustion pressure to leak into the cooling system and push out the water. It wasn't so severe that it was big problem, but it certainly could have lead to more expensive problems. Tinney turned the motor around in record time, and last Friday Jim had it back in the car and running. The car will be going over to VRM this week to get on to their dyno for a quick break-in run. We will be running the car at the SVRA Portland race at the end of July, then on to Monterey! Nice progress! I look forward to seeing you run again at Laguna Seca in August. I look forward to seeing the car at Monterey next month. I'll be there supporting once of the Datsun Roadsters that is racing. Hopefully I won't be too busy to come say hi. Look for the Racecraft truck. They usually put us in the 1st or 2nd row. I'll also be racing my Luigi CSL on Saturday in Group 5A. The M3 will be in Group 7B on Sunday along with the GTP and GTO cars. YIKES! This is exactly what is happening with my car and only at the track. Curious how many hours the shop charged you for doing this. I think I have some pics of your Luigi car. Yes it is. I'll be running Luigi in Group 5a, and Asahi Kiko car in 7B. My god you guys....such cool toys...jealous. I'm pretty excited for this. Its the first time and likely the last time that this many Datsun roadster race cars have been in one place at the same time since the '70s. There will be 14 that I know of in attendance. At least 3 of them with National Championship titles. Vintage car racing has become so popular, the cars with genuine race history have become extremely valuable. 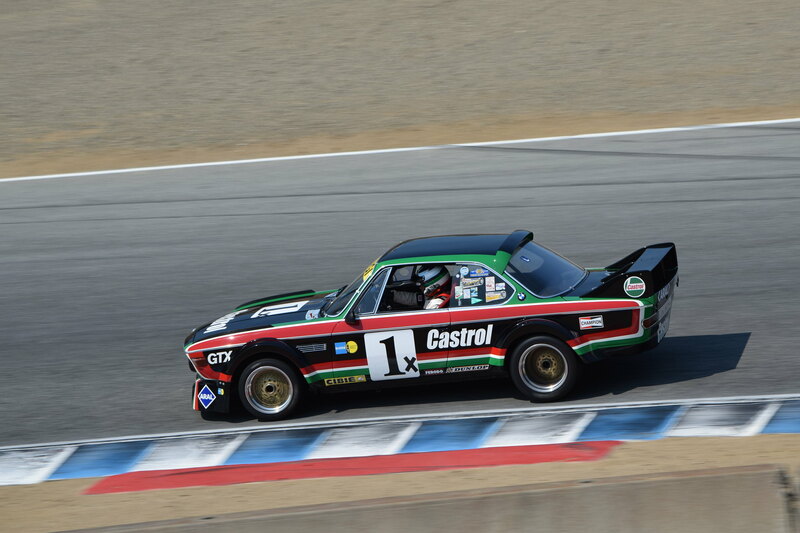 I know with the Monterey Historics at least, the car absolutely has to have genuine race history from back in the day to participate, correct? I wish I could have foreseen this, as it wasn't that long ago that vintage racing cars from the '70s and '80s had very little value. I could have afforded one at that time, now no way in hell. I remember reading that the former David Hobbs BMW 320i turbo (a very iconic late '70s IMSA racecar) sold several years ago for more than a half million dollars. And it wasn't restored or anything....just in slightly rough "time capsule" condition. Of course....my first choice would be a Porsche 935, but so far out of my league....not just to buy....but to keep running it I did own one. I think it depends on the car. If you have a car that looks good and isn't often seen racing, but the type does have an important place in racing history, I'd day you have 50:50 odds of it being accepted. I know for a fact that one of the Datsun roadsters racing next month was a street car that was converted to a race car about 10 years ago. There is very little vintage about it. It has modern brakes, carbon fiber fenders, ect. Its painted as a tribute car to a well known Datsun driver from the 70s and 80s. (Jim Fitzgerald). I both love and hate the car at the same time. Its a great looking car, but its a total cheater car. The car I'll be driving is for sale. The owner wants a big chunk of $ for it, but to the right person it might be worth it. There are still a lot of Datsun roadsters with history going back to the 60s and 70s that are still out there, they just need to be found and restored. A friend of mine has several. I'm planning to pick up a DTM M4 after this season so I can race it in 30 years. All times are GMT-12. This page was generated at 05:47 AM.